For five years I represented the Swedish textile design company BEMZ that develops, produces and sells high-end slipcovers for IKEA furniture, mostly online. 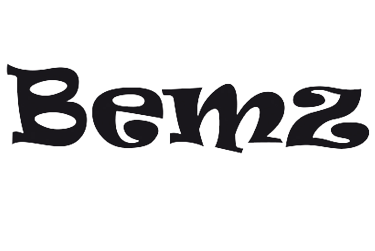 Every year BEMZ’s media presence increased subsequently in Germany and the US through my PR work. The result: During my tenure at BEMZ, the company’s media presence in Germany increased 237% with an ad equivalency of 2 million euros. When the Freiburg architecture firm Frey Architekten wanted to enter the public realm with its new, sustainable apartment complex, “Heidelberg Village”, I developed a concept to be the first to address its role in the world’s largest passive house settlement in Heidelberg. When E15 entered the US market in 2011, an association for outdoor power tools needed a public awareness campaign to warn the public about potential dangers and motor damage associated with using gasoline with higher ethanol content. Together with my US agency partner, we developed a powerful social media campaign, filling Facebook and Twitter with informative content. The result: millions of end users, association members and dealers were reached and damage to countless engines was prevented. To increase children’s interest in STEM-related topics, my US agency partner created a green superhero to teach children about environmentally related issues. Through a continuous social media campaign, which I helped implement, we were able to reach schools, schoolchildren and their parents through Facebook, Twitter and blog posts with both positive content and a free science curriculum about plants and climate zones. The result: hundreds of free curriculum downloads. “A super presentation,” – Stefanie M.
“Thank you for the entertaining speech!” — Sandra K.
“I laughed from start to finish! Thanks Christine for a delightful presentation!” — Liz M.
“The art of storytelling wonderful demonstrated through the speaker’s storytelling experiences.” Alison S.
I have been working as a translator since 1992. Whether it’s fiction, academic articles, non-fiction or video subtitles, I build bridges between linguistic worlds. Punctual. Precise. Perfect.